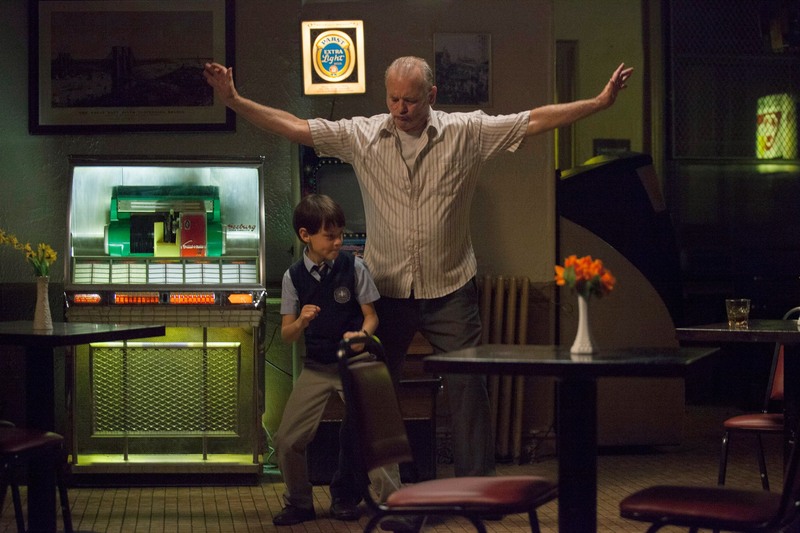 Theodore Melfi makes his directing and screenwriting debut with St Vincent, a touching, yet mostly predictable comedy/drama about a cute kid and his cranky-pants neighbour. Like in Up, Dennis the Menace, Gran Torino, that episode of Modern Family, and a heap of other films that have gone before, I think we can guess where it’s heading. Oliver (Jaeden Lieberher) and his mother Maggie (Melissa McCarthy) move next door to alcoholic gambling miserybags Vincent (Bill Murray) who soon enough is reeled in for babysitting duties. After witnessing Oliver being bullied, Vincent helps him to ‘stand up for himself’ (euphemistically speaking) and soon they’re having all sorts of jolly outings together, to the race track, the pub, etc. Oliver meets Vincent’s ‘lady of the night’, Daka (Naomi Watts), a pregnant prostitute, but being an innocent lil cutie pie he thinks that just means that she works at night. 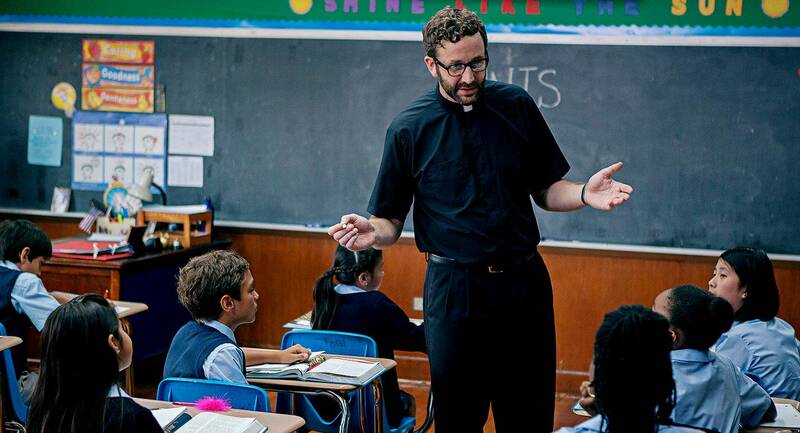 Meanwhile at school, Brother Geraghty (Chris O’Dowd) gives the class an assignment to find someone in their neighbourhood who meets the requirements for sainthood. Obviously the drunk gambler seems like a prime candidate. While it’s a sweet film that certainly tugs at the heartstrings, trailer overkill somewhat ruined this one for me. The best jokes were already known and the plot already spelt out. Then again, it’s all pretty predictable even without the trailer. There are a few surprises which make it worth seeing, however, and in Vincent, Melfi and Murray have created an interesting and layered character. Bill Murray is at ease with this material, with a seamless performance that makes the audience simultaneously disappointed in Vincent, whilst also sympathetic. Jaeden Lieberher in his big debut is certainly able to hold an audience, and does not once show even a whiff of precociousness. With a heavy Russian accent and in prostitute garb, Naomi Watts transforms herself into a completely different role, and while it does border on caricaturish, she is convincing and thoroughly entertaining. Chris O’Dowd and Melissa McCarthy further contribute their impeccable comic timing, rounding out a damn impressive cast. 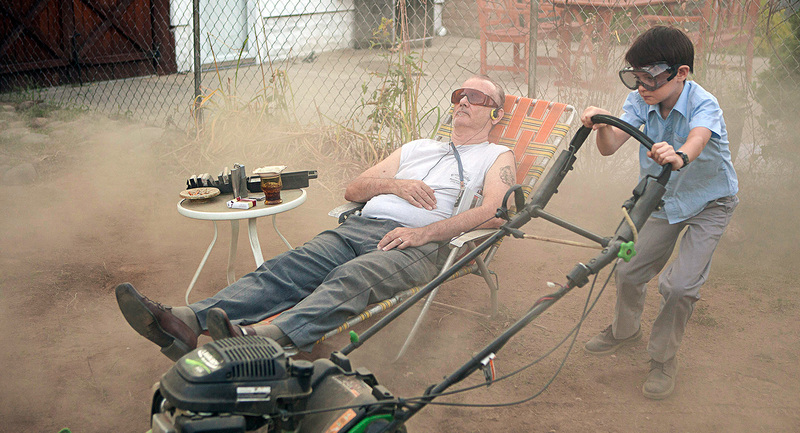 St Vincent is worthwhile for a lazy afternoon viewing. It won’t challenge you, it won’t make you too depressed, you’ll have a few laughs, and you may even be a little teary (in a good way) by the end of it. If that’s all you’re after, knock yourself out. If you’re hoping for something a little grittier, hold onto your money. Good review. The ensemble is good. However, the script just isn’t all that up to their talents.